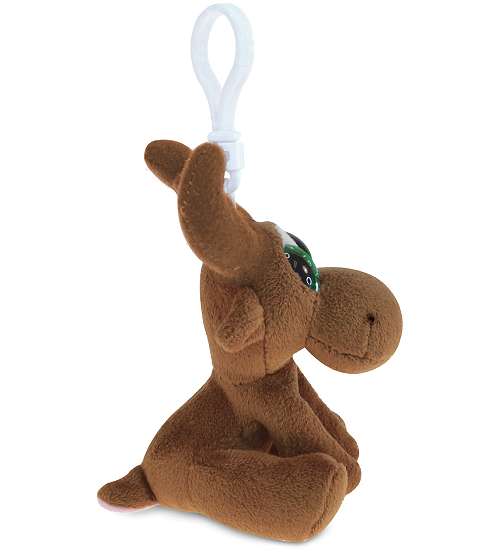 This cute little moose plush backpack clip stuffed animal is the perfect take-along pal. 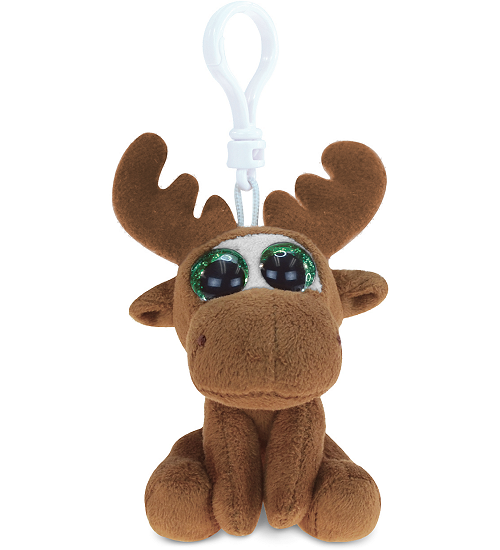 With soft tawny brown fur, white eye patch, pink under-tail, and stately brown antlers, this stuffed moose backpack clip has amazing sparkly green eyes in a sweet face. 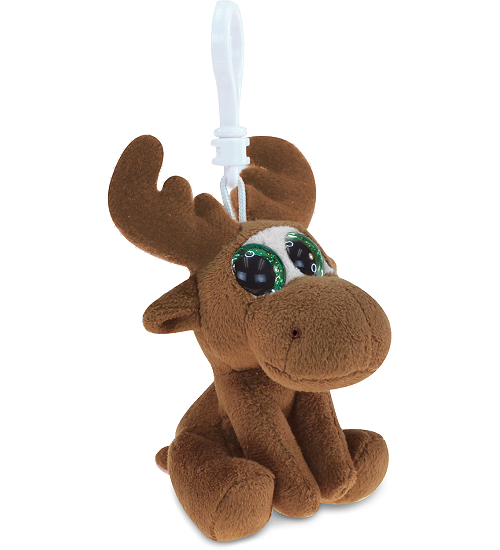 Complete with white backpack clip, this plush moose clip on animal is great for on-the-go adventure as well as birthday treat bags, prizes, and giveaways. 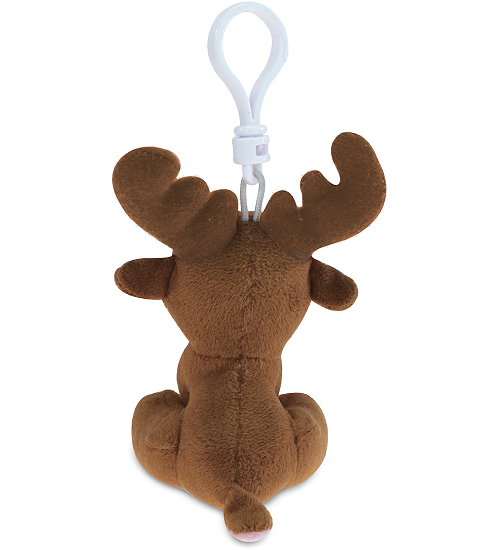 This adorable little plush moose clip-on has soft brown fur, lighter brown hooves, and stately antlers. This adorable Flopsie plush moose a huggable body of soft brown fur, dark brown hooves, and stately tan antlers. 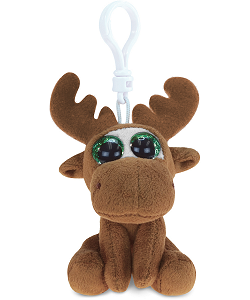 Mike is an adorable plush moose with soft brown fur, tan antlers, and sparkly emerald-green eyes.